U.S. personnel must get a “Permit to Transfer” when selling or giving a U.S. Army-Europe plated vehicle to a non-ID cardholder in Germany. Failure to get the permit could lead to serious complications with German Customs authorities. “It is important to get the permit to transfer before you sell, donate or transfer a car to a German car dealer, junkyard or person who is not an ID card holder,” explained Fred Evans, chief of services at U.S. Army Customs Agency – Europe. This applies even if you received no money for the vehicle, for example, if it was wrecked in an accident, he added. “This is obviously very difficult if the car was crushed long ago, you are in the middle of clearing out of Europe and you have no record of where the car went,” Evans continued. If you cannot show what happened to the vehicle, you may be identified in a military police report and subject to disciplinary action. You may also have to pay a hefty tax demand based upon the value of the vehicle as well as possible fines from German Customs authorities. 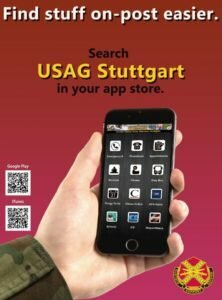 The “Permit to Transfer” (AE Form 550-175B) is available at the USAG Stuttgart Customs Office. The form is also required when you sell firearms or other expensive personal items to someone who is not an ID cardholder. The USAG Stuttgart Customs Office in Bldg. 2915, Panzer Kaserne, is open weekdays (except holidays), 7:45 a.m. – noon, and 1 – 3:45 p.m. Printouts of all documentation are necessary to receive the appropriate customs document, including bills of lading, bills of sale, rental contracts, TDY orders and more. Call 07031-15-2731 or DSN 431-2731. More information on selling personal property in Germany is available online.